To make panna cotta pots, add coconut milk to a small saucepan. Whisk in the agar agar then place over a medium heat, bring to a boil then reduce heat to low and allow to simmer for 5 mins, whisking regularly. Allow coconut milk mixture to cool slightly then whisk in the kefir and vanilla bean paste. Pour into 6 small dishes and place into the fridge for at least 6 hours to set. 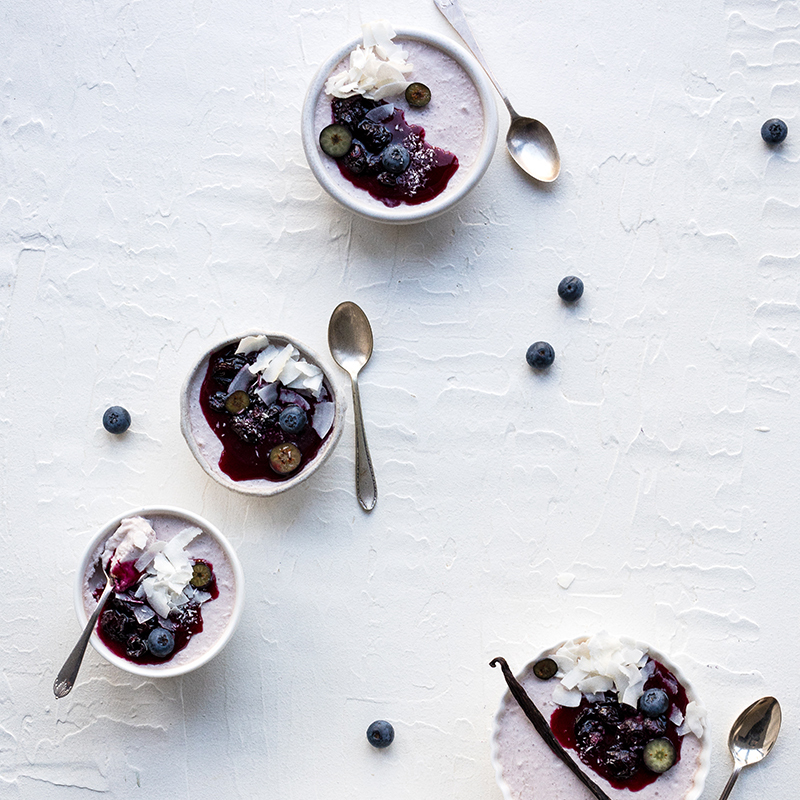 To make blueberry compote, combine all ingredients in a small saucepan over medium heat. Cook, stirring regularly, for 5-8 mins until sugar dissolves and blueberries just start to collapse. To serve, spoon compote over the panna cotta pots. Decorate with extra fresh blueberries and coconut flakes and serve immediately.